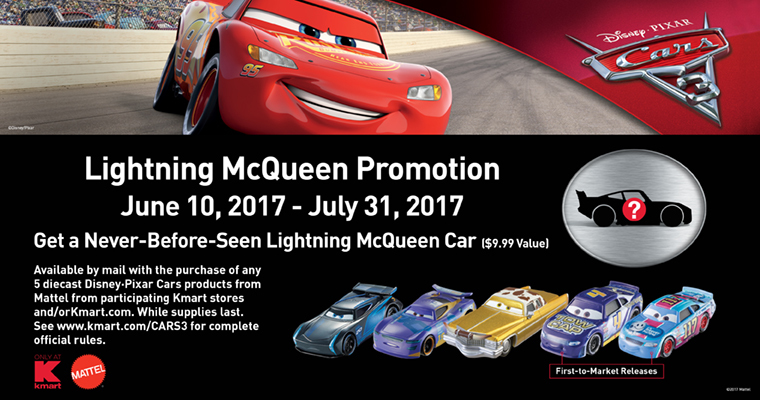 On June 10th, Kmart partnered with Mattel once again to bring you their latest Cars diecast "mail away" promotion! These used to happen pretty regularly (once, or even sometimes twice a year), but this is the first one since 2013. It's a fun, welcome return for us long-time Cars fans/collectors! This time around it's Cars 3 themed in celebration of its theatrical release last month. Send your Kmart receipt(s), the printed order form AND the blister cardbacks of the five diecasts you purchased to the designated address. Note: If you didn't pay the $3.50 for shipping electronically through the online order form, you'll also need to include a check or money order for that amount (payable to Mattel). That's it! Pretty simple. To see a full outline of all the official rules and regulations, check out this detailed page HERE. Also, below you can view what it looked like as I was gearing up to send these off a few days ago; got my receipts, my five cardbacks and sent it all off with the completed order form inside an envelope I got at Walmart for just a few cents. Now I just sit back and await my free diecast! They say it should arrive between eight and twelve weeks. I can't wait to see what it is! I really hope the rumor is true and that it turns to be the blue epilogue "For Doc Hudson" McQueen. How cool would that one be as a Precision Series diecast? Fingers crossed. To wrap things up—If you haven't yet, be sure to purchase any five diecasts at Kmart ASAP and quickly go through the process if you're interested in this. Time is running out! 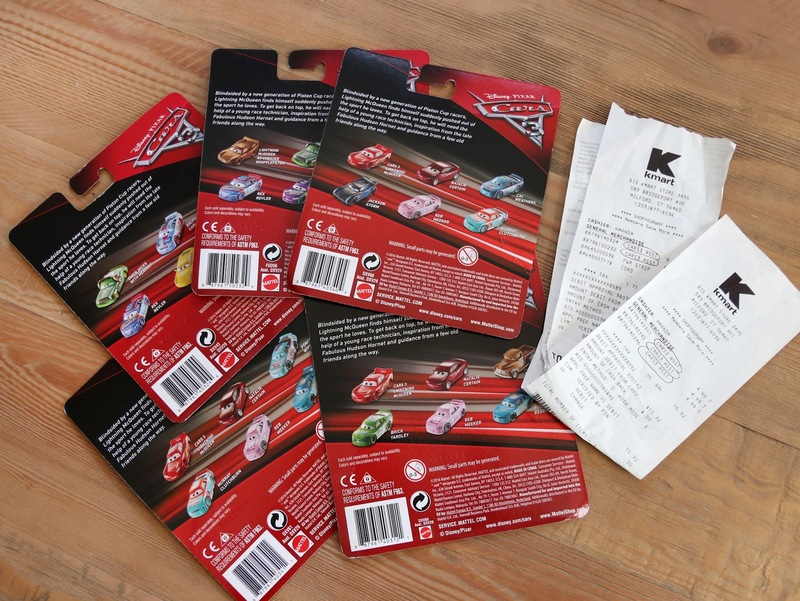 The cars need to be purchased by July 31 and the outgoing envelope to Mattel needs to be postmarked by August 4 (at the latest) in order to qualify. Best of luck! I'll be excited to show off the McQueen right here as soon as it arrives. Stay tuned for a detailed review next month and let me know your thoughts in the comments below in the meantime.